But, in this day of massive government control over so much of our land, our economy, and our basic ability to live free lives, we must be cautious and look at the details of plans, no matter how innocent or well-meaning they may seem. The residents affected by the Caddo Lake NHA were suspicious because so little information was being released about the project. Who was behind it? Where was the money coming from? Above all, what specific areas were going to be affected? So, some determined residents did their homework. They learned the promises of increased tourism and boosts to the economy were, at best, empty. Rather, they learned NHA’s are little more than pork-barrel earmarks that endanger private property rights and local governmental powers. And a very specific danger is that Heritage Areas have very definite boundaries that come with very definite consequences for folks who reside within them. That’s because funding and technical assistance for Heritages Areas is administered through the National Park Service, a federal agency with a long history of hostility toward private landowners. Typically, such commissions consist of strictly ideological special interest groups. In the mix of these groups one will find all of the usual suspects: environmental groups, planning groups, historic preservation groups, all with their own private agendas – all working behind the scenes, creating policy. The managing entity then sets up non-elected boards and regional councils to oversee policy inside the Heritage Area that stretches over numerous communities and counties. However, as the managing entity, they don’t have the power to make laws, but the local elected officials do and so the partnership is born, fed by the federal money. Now the managing entity will help create tools, legislation, guidelines and whatever regulatory procedures are needed to make the management plan come into fruition. Incredibly, proponents argue that National Heritage Areas do not influence local zoning or land-use planning. Yet, by definition, this is precisely what they do. Found right in the language of most Heritage Area legislation, the management entity is specifically directed to restore, preserve, and manage anything and everything that is naturally, culturally, historically, and recreationally significant to the Heritage Area. Along the Mississippi River there are two Heritage Areas, Mississippi Delta National Heritage Area and Mississippi Gulf Coast National Heritage Area. Now here is a region rich in history. There must be all kinds of good things happening along the Father of Waters in the name of heritage preservation. What about property rights protections? When property owners express concern that their property could be taken in the process – proponents have a ready-made answer. Don’t worry, they say - they quickly point to language in the Heritage Area bills that assure property rights protections. In their own words, proponents say their feasibility study for the Caddo Lake Heritage Area is to “identify and evaluate alternatives for managing, preserving, and interpreting nationally important cultural and historic landscapes, sites, and structures existing under and around Caddo Lake.” For every one of those descriptions there is an NGO that makes it their mission to impose it, and there is a federal grant to enforce it. That leads to a lot of control you’ve never experienced before. In short, the greatest threat from the Heritage Area is that it creates a pipeline of federal money – and, consequently political power - to these national organizations to promote their specific agendas over your community and its development. Above all, they understood that the only way to make sure government doesn’t abuse its power is to not grant it in the first place. Those residents know they have only won the first round. The special interests will be back to try again. They always do. That’s why the battle cry of the Caddo Lake’s Last Stand is “Not one inch of this ground will be put in a National Heritage Area.” That kind of determination wins battles. 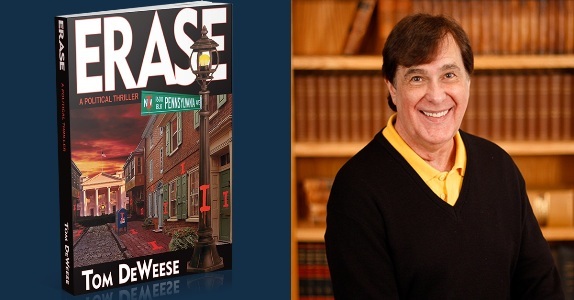 Tom DeWeese, Founder and President of the American Policy Center and editor of The DeWeese Report, is one of the nation’s leading advocates of individual liberty, free enterprise, private property rights, personal privacy, back-to-basics education and American sovereignty and independence.